I have collaborated with Rik Brown to bring you his totally FREE MACE TRAINING MANUAL, exclusively on the Steel Mace Warrior website. 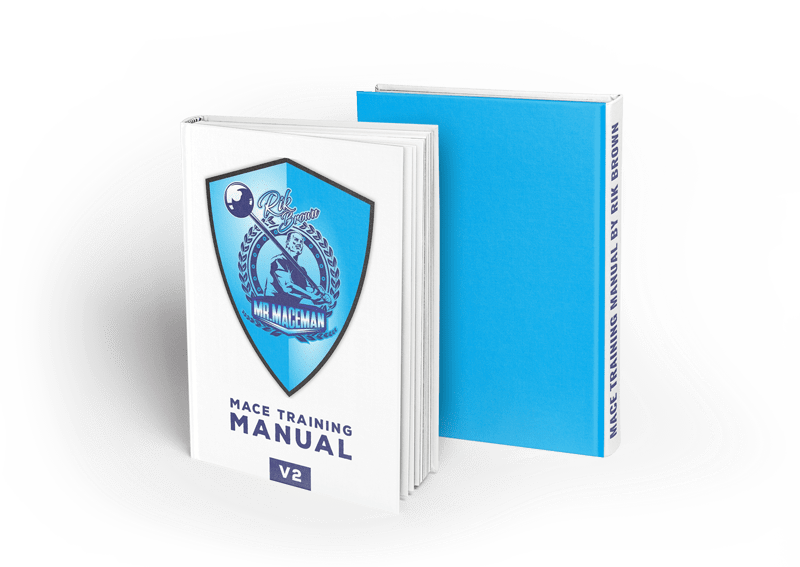 This 35 page digital mace training manual is completely illustrated with photos and packed with mace knowledge that you will benefit tremendously from. This guide is also great if you plan to attend any of Rik’s upcoming mace workshops as a pre-requisite read. Important Side Note: This mace manual is soon to be updated by Rik Brown. I will make sure to announce the updated version as soon as it is available.